Sometimes directions just aren't enough. Have a map! Click to make it bigger. You'll have an easier time if you follow it in conjunction with your own map (press down 'Tab' to make it appear), which shows your current location as a flashing square. A legend for what you'll find in the locations noted in the image can be found below. Anything labelled 'LB' is a LolBits shop. 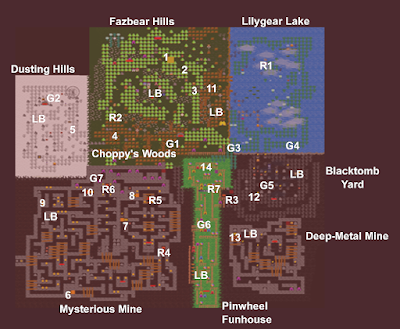 'G' locations are linked to 'R' locations with the same number; these denote secret pathways (often glitches) that lead you to red chests. The 'G' is the entrance to the glitch, the 'R' is the chest. 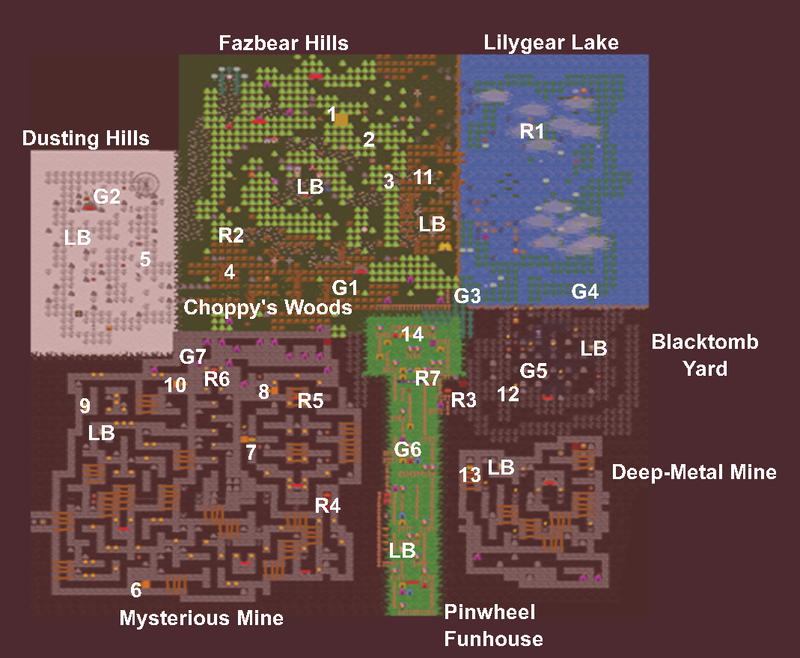 Look at this article on locating red chests for more info. I can't find headstart speed even with the map.